Amazing Kids! Money Smarts Contest – Create a Money Lesson Story – FINISHED! Amazing Kids! Magazine is excited to announce our first Money Smarts contest, which is now open for submissions! September is the time kids start getting back into school and learning. For our contest, we want you to write a story about a character that learns a money lesson. We are looking for creative and fresh stories about learning a money lesson. Let your imaginations soar! This contest is open to kids all around the world in ages 7 – 15. We have split the categories into the following age groups: 7 – 9, 10 – 11, 12 – 14, and 15 – 18. One winner will be chosen in each category to win a Solitaire Chess game and FootBubbles along with an official certificate verifying their winning entry and publication in the Amazing Kids! Magazine. (Note: For countries outside the United States, the Editors have the right to substitute a gift card in the amount of $20 for the prizes due to mailing restrictions.) Submit all entries by November 20th at midnight PST to be considered! Please look below for rules and regulations – if your entry does not follow our rules, it will not be considered for this contest! Email money.smarts@amazing-kids.org if you have any questions about the rules or the contest in general. A. All submissions must be received in the format listed above by November 20th at midnight PST. A. Stories should be written in English, with submissions of up to 2,000 words. Stories exceeding this length will not be considered. Submit your entry as a Word document or put it in the body of your email. Each e-mail submission will receive a return message verifying that the story was received within two weeks. A. Your essay will not be considered. There is no word minimum. Keep in mind that longer stories are not necessarily better stories. A. The winners will be announced on the contest page starting February 1st. A. No. There will be two prizes for one winner in each age category. Each winner will receive Thinkfun’s Solitaire Chess game and Leo Messi FootBubbles. Winner Certificates will also be provided to the winners and their story will be published in an issue of Amazing Kids! Magazine’s Money Smarts column. A. You will be winning two fabulous prizes: Thinkfun’s Solitaire Chess game and Leo Messi’s FootBubbles. 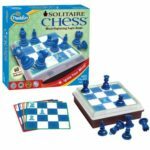 Thinkfun has created Solitaire Chess, a simple to learn game that still challenges your mind. The pieces work like regular chess pieces, but this is a one person game. 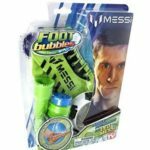 The Leo Messi FootBubbles set by Funtastic LTD is a fun way to play with bubbles. For full reviews of these products, visit the Nonfiction, Product Review Column for September. Thank you to Thinkfun and Funtastic LTD for sponsoring our prizes for this contest. Also a thank you goes out to the Traynor family who will be sponsoring the mailing costs of the prizes. Without the great support of our sponsors and readers, we could not offer you these fun contests. Does the money smart contest should be existing character or non-existing one? The Money Smarts Contest can be fictional or nonfictional. Good luck!